Craft beers are booming in popularity. Living in central New York, I’m lucky enough to live close to Saranac and Brewery Ommegang. 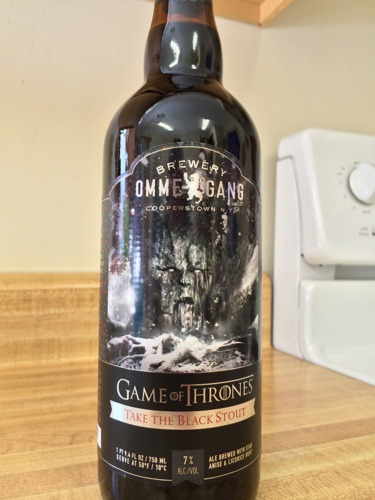 Game of Thrones fans should know about Brewery Ommegang, as they produce the Game of Thrones beers to go with the TV show. Yes I was able to get some of their most recent offering, Take the Black Stout, before the majority of the public had access to it. Unfortunately, some breweries are so popular they can’t keep anything on their shelves. This is good for them, but bad for us beer lovers. The Alchemist in Waterbury, Vermont, is one of those breweries. I’m pretty sure I first heard about their Heady Topper beer on Uncrate. I started reading about Heady Topper. Everything I read about it was praise. I didn’t find a single negative review about it. I knew I wanted some, but that seemed to be a difficult thing to do. 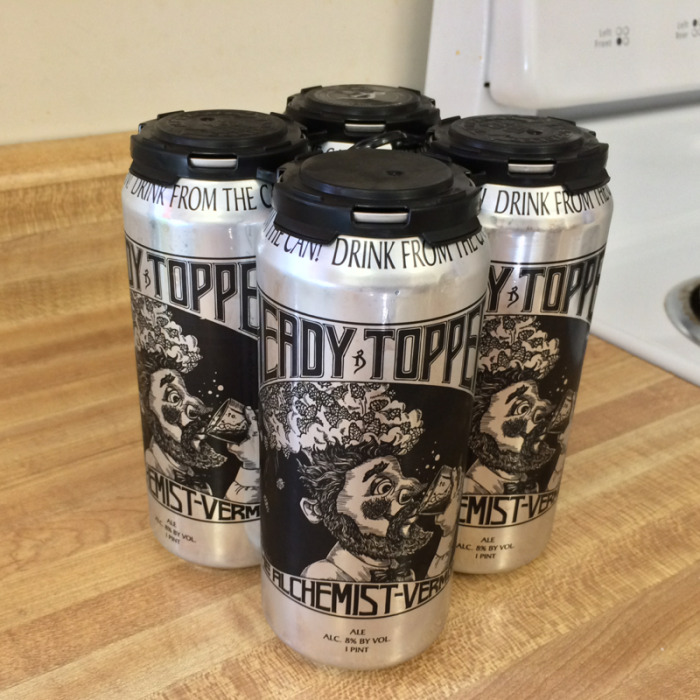 The Alchemist brews Heady Topper all week, it is all they brew. By Friday it’s already sold out. The locals can’t even get their hands on it at times. I managed to get a can when we went out to dinner Friday night. It lived up to the hype I had for it. It was a delicious nectar of hoppy goodness. Before I came home, I wanted more! The brewery of course was sold out, but we did manage to find some at Stowe Beverage. The store was limiting sales to one 4-pack per customer, so I managed to come home with two 4-packs. It’s awesome to see a brewery this successful, and I hope The Alchemist continues to do well and grow. I would love to be able to get my hands on their beer locally instead of having to take a weekend trip. If you travel to Vermont, I highly suggest you try to get your hands on this delicious IPA, it really may be Vermont’s rarest commodity. It at least is a very hard to find beverage.